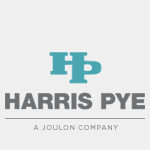 Both Harris Pye and Global Offshore & Marine have established a formidable reputation over a number of years for the design, manufacture and installation of a myriad of elements which enables the provision of complete packages. 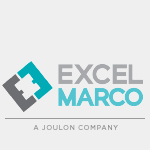 They create the design solution tailored to the client’s individual needs and budgets. They carry out all parts of the manufacturing process in-house to the highest standards, through their specialist workshops. Installations are carried out by their skilled fitters during refits, new builds or while in service worldwide, by way of mobile work squads. Operating both in the marine and land based environments the Outfitting department offers bespoke design concept services to its clients, ensuring that the best solution is chosen to meet needs and budgets. The in-house design team uses state of the art 360 degree scanning equipment and software to design minutely accurate solutions and create stunning walk-through 3D designs, negating errors whilst ensuring fast turnaround. The client’s manager and contractors, ship builders and managers are enagaged to arrive at the most suitable layout, products and coverings. The modules offered come in a range of sizes: 12.2m/40ft, 9.8m/32ft, 7.8m/26ft, 6.1m/20ft. Modules can be made to accommodate 1, 2, 4 or 8 men depending on the cabin layouts and number of bunks per cabin specified. The modules can be delivered with either A60 windows or A60 hatches installed; all modules are equipped with wet rooms in each cabin. Modules can also be H60 fire-rated if and when required and are compliant with current SOLAS regulations. The standard features of our modules include DNV (BS EN 12079) or ABS certification, HVAC system, A60 or H60 fire rating, fire and gas detection system, sprinkler system, emergency lighting, full automatic shutdown (CPFG panels – optional), fire dampers, PA/TV/Tel sockets and connections, modules can be adapted to suit a myriad of needs including, but not limited to, galleys, recreation rooms, canteens, laundries, locker rooms and offices. 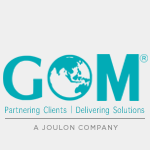 Accommodation modules can be utilized as either standalone units or linked and stacked together to form multi-purpose, multi-level accommodation complexes. Linking kits are waterproof and provide a watertight barrier; these kits are supplied with each module. The structures are designed to link together efficiently and thus minimize valuable hook up time. Highly skilled and experienced outfitters ensure that all stages of programming and works undertaken are subjected to and comply with all the latest class and stringent quality assurance regulations, and are therefore guaranteed accordingly. Many clients require turnkey packages, requiring the Outfitting department to work with other divisions on large projects. This greatly aids the planning and execution of extensive work scopes. 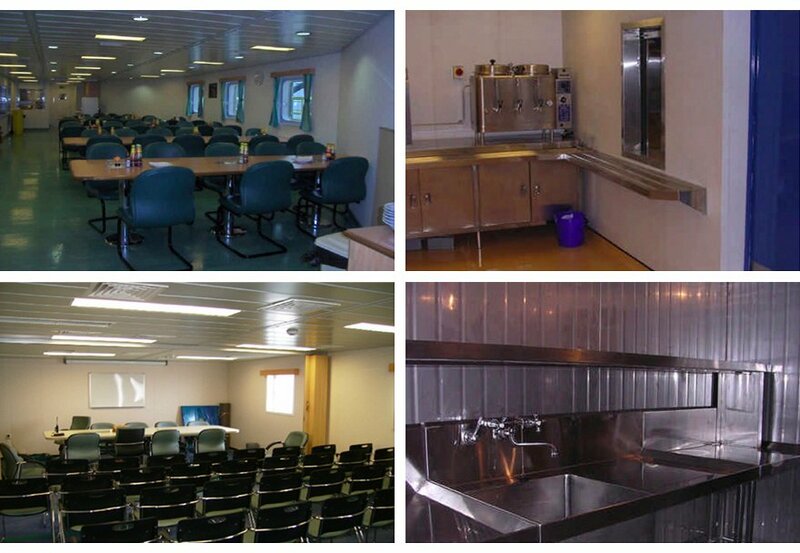 Installations are carried out both during vessel refits and whilst the ship is in service. The latter requires a riding squad of engineers and fabricators. Personnel are available on standby to travel at short notice and to work at sea for extended periods on scheduled projects.